Click on the &apos;+&apos; icon and select &apos;Embed&apos;. 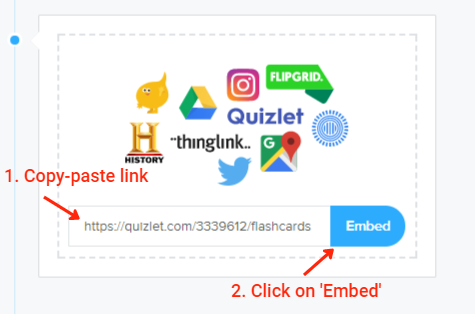 You can copy-paste the link from the specific Quizlet quiz into the embed item on Sutori as on the screenshots below. 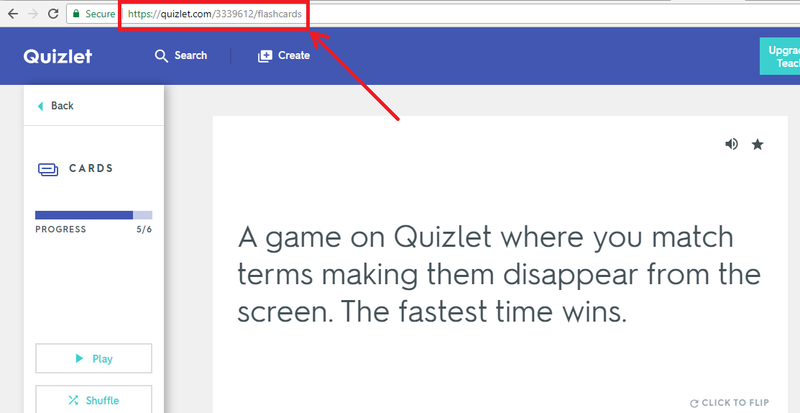 Please note it is best to copy-paste the URL as on the screenshots and not the shortened link (ie: https://quizlet.com/_2epm97) which does not display the same way.